A healthy dessert! Rhubarb is packed with vitamins & minerals and is a source of fibre. Using tea as the base to cook the rhubarb in adds extra flavour. It is low in calories and has a similar tart taste like green apples. This is a great dessert if you are trying to detox from sweets because you can control how much sugar you add. As your body gets used to less sweet things the less it craves. You can add fresh organic strawberries if desired. Add 4 tsp. of your chosen Fruit tea to a glass measuring cup that holds 3 cups of water. Add 2 1/2 cups of boiling water to the tea and let steep for 10-15 minutes. Strain the tea into a saucepan and bring to a boil. Add the tapioca and salt. Stir often over medium heat for 5 minutes Add rhubarb, cook for 10 min. until softened, stirring occasionally. Stir in sugar to dissolve. Remove from heat. Once cooled, mix in sliced strawberries if desired. 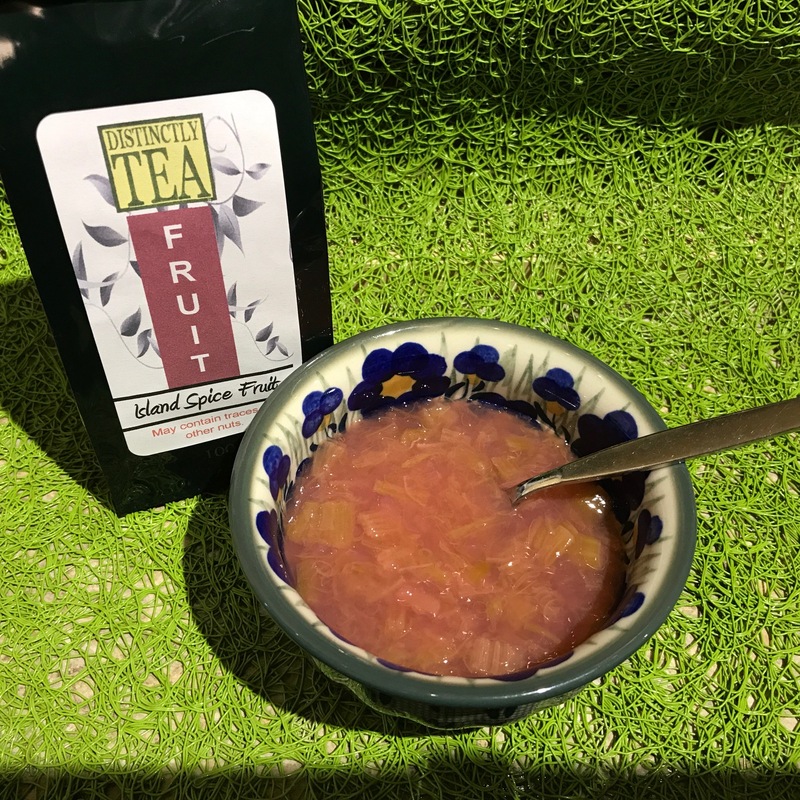 Colourful, tasty and eye pleasing fruit tea with a bit of spice.